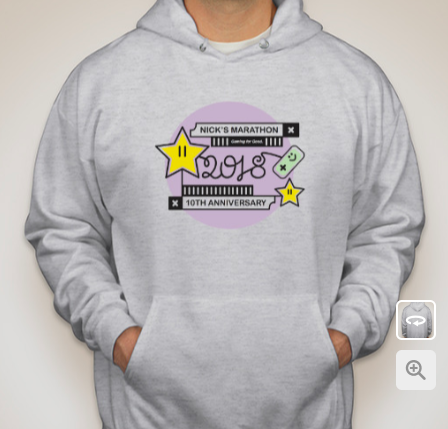 Home › Nick's Marathon › Merch Alert! 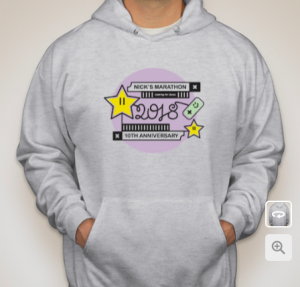 To celebrate our 10th anniversary, we are offering limited-edition hoodies, t-shirts, and tote bags! We’ve set up a collection through Custom Ink. But act fast—these items disappear on Friday, November 23! 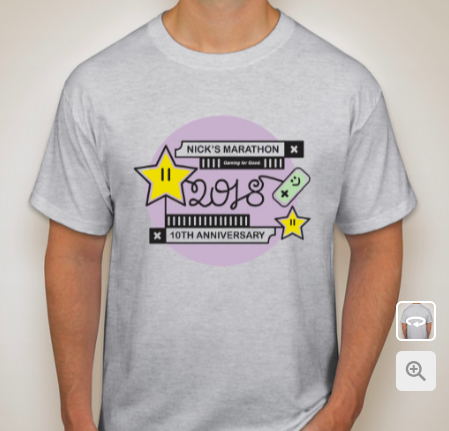 While you’re there, you can also add an additional donation to your purchase. 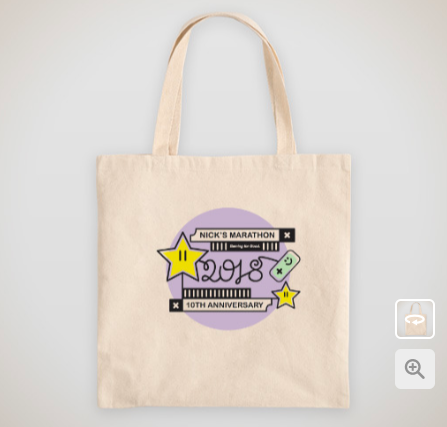 If you don’t want some of this super-stylish swag (for some weird reason), you can always make a direct donation here.